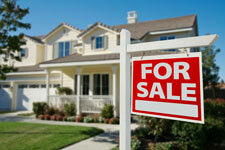 Denver Metro Real Estate - Associated Brokers Realty, Inc.
We specialize in Residential Sales in the Denver Metro Area. We offer a full range of Real Estate services tailored to you as an investor or homeowner. Our licensed Brokers and Realtors work with you to ensure a higher level of service. Using Associated Brokers to purchase or sell Real Estate in Denver Metro Area will get you the most from the sale of your investment/home. We keep a close eye on Real Estate trends, hip/upcoming locations in Colorado while adhering to the positive ethics. Our agents stay abreast of the market and are proud members of The Denver Metro Association of Realtors. Network to quickly sell your property with hundreds of agents we meet each day. Get you the best deal, not just the best price.